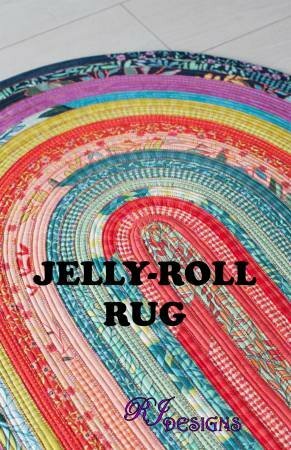 Lets make a Jelly Roll rug! You can start with pre-cut 2 1/2" strips and pre-cut cotton batting or use up those scraps and put your Stripology ruler to use to cut your fabric (stash and batting scraps to 2 1/2" strips. (Finally another use for batting scraps!) The first session of this class is lecture/demonstration so you don't bring your sewing machine. We will demonstrate how to sew the strips and batting together to make the "rope" that makes the rug. In the second session, bring all your supplies and your "rope", ready to sew into a rug. The one price of $25 covers both sessions of the class.